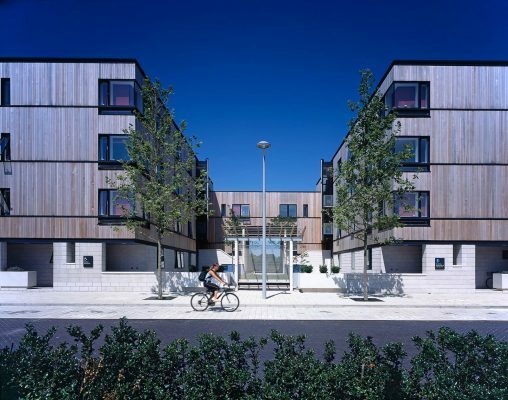 The North Residences “Franklin Court” form part of our West Cambridge masterplan and provide 62 new two and three bedroom flats for university staff and post-doctorate students and a nursery for 84 children. 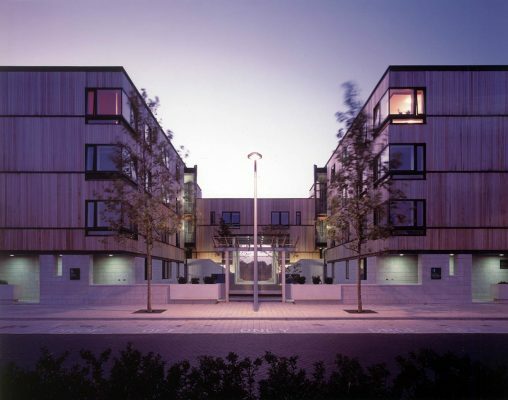 The building comprises four, 4 storey wings, with the nursery at the centre of the scheme. The composition creates three south facing garden courts that provide a focus for the residences and a secluded garden for the nursery. I would like to congratulate Cambridge University on this imaginative and forward-looking development. House prices have risen so fast that many University staff are priced out of the market and we need more homes quickly to enable people to live close to where they work. 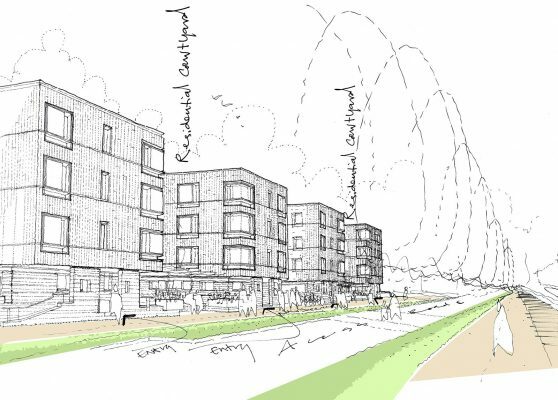 This will enable University staff to live within cycling and walking distance of their place of work. 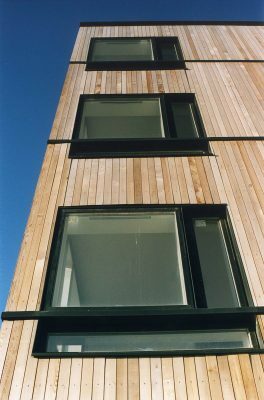 The elevations are clad with vertical cedar boarding, sitting on a ribbed stone-like plinth. 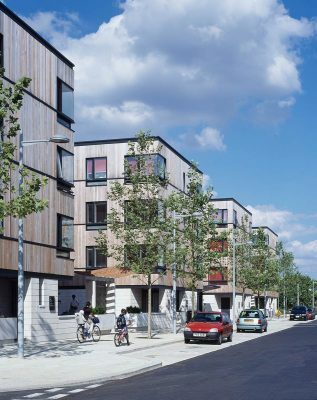 The timber will weather to a silvery tone, complementing the grey coloured zinc-cladding of the South Residences opposite. 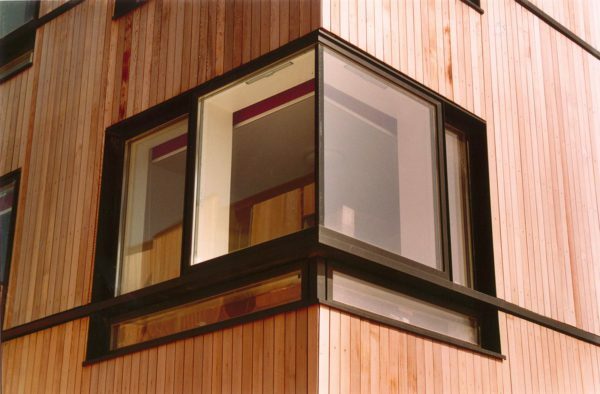 The modulation of the windows enlivens the timber elevations and reflects the arrangement of the living and bedrooms. The corner living rooms face onto a public square and help to animate the street. The nursery is approached through the central garden court, the garden walls provide a secure boundary.